Unique accommodation facilities found in 35 locations throughout the country, the facilities run by Hoshino Resorts are ideal places where you can fully savor the charms of Japan. There are English speaking staff at each facility, enabling visitors from across the globe to experience the full breadth of Japanese hospitality without fear of communication issues or inconveniences. Their brands include HOSHINOYA, KAI, RISONARE and OMO. Guests can participate in various programs which include tea and sake tastings, Japanese kenjutsu (swordplay), and events where you can appreciate Japanese traditional arts, such as shamisen concerts.The dishes, prepared using fresh local ingredients, are comparable to those served at Japan's finest restaurants. Guests that stay at Hoshino Resorts and take part in these special experiences are sure to say "I'm so glad that I came to Japan!" 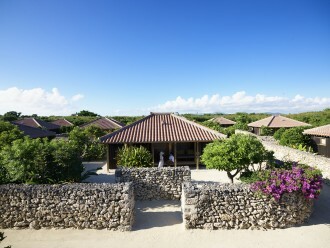 HOSHINOYA Taketomi Island is a village resort located on Taketomi, an island in Okinawa. Taketomi is a small place with a population of just about 350. It is a quiet, inspiring getaway where traditions and nature are valued. 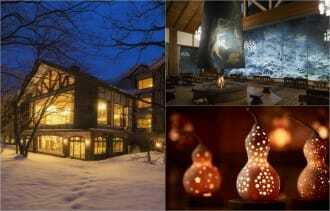 HOSHINOYA Karuizawa, one of Japan's best-known resort villages, is located in the nature-filled Karuizawa, Nagano. This article describes the tranquil environment here, fine Japanese dining, and various activities guests can join in at this retreat. Surely many visitors to Japan dream of a chance to gaze at Mt. Fuji. 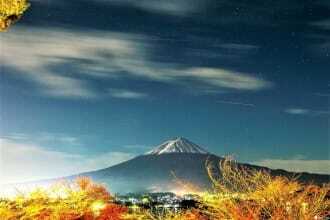 They can have that superb opportunity from the comfort of their room at HOSHINOYA Fuji! They can also experience glamping and relax surrounded by the wondrous nature of Mt. Fuji. 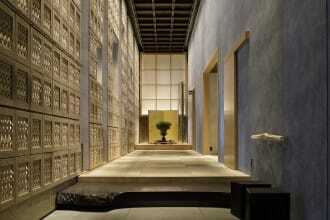 Those who wish to experience Japanese hospitality at its best should stay at HOSHINOYA Tokyo. With relaxing guest rooms and refined cuisine to delight the five senses, guests can enjoy a distinctly Japanese aesthetic experience only at this luxury inn. Have you heard of Hoshinoya Kyoto, the unique retreat in the heart of Arashiyama? Its beautiful architecture and refined hospitality are what make it a popular choice among Kyoto visitors. Here's why everyone chooses to stay at Hoshinoya Kyoto. Lodge at Hoshino Resorts KAI Ito, a Japanese inn on the Izu Peninsula, located two hours from Tokyo. In Ito, guests can enjoy historic hot springs, camellia flowers, cherry blossoms, and seaside nature for an ideal balance of relaxation and excitement. Up To 60% Discount! 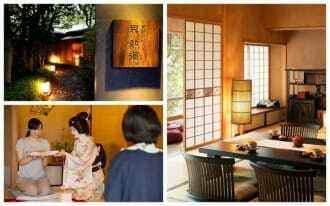 Stay At A Fabulous Hoshino Resorts KAI Ryokan! Today we will introduce a rare, limited-time chance to stay at a Hoshino Resorts KAI ryokan! "Travel in Your 20’s Project" allows participants to enjoy up to a 60% discount for lodging at one of their 15 facilities located throughout Japan! Hoshino Resort KAI Kaga is located in Yamashiro Onsen, a traditional hot spring town in Ishikawa Prefecture. In addition to the excellent hot springs, the artistic KAI Kaga offers exciting activities that will make your stay in Kaga unforgettable. Hoshino Resorts KAI Sengokuhara is a hot spring ryokan that opened in July 2018 in Hakone's Sengokuhara, an area with many art museums. Guests can relax in hot spring baths and take part in fun painting workshops, fully enjoying their stay in Hakone. 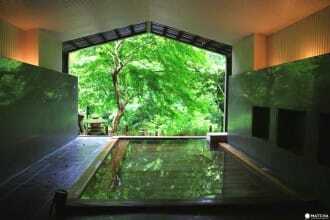 Hoshino Resorts KAI Anjin is a luxury onsen ryokan located in Ito, Shizuoka. Its interior design is inspired by the legacy of William Adams, the man who built the first Western sailing ships in Japan. His life inspired the famous novel "Shogun". Matsumoto City, famous for its castle listed as a National Treasure, also has a remarkable music and contemporary art scene. 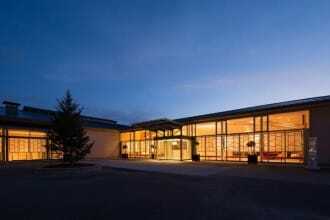 Choose Hoshino Resorts KAI Matsumoto to savor its culture, food, and the excellent Asama Onsen hot spring all at once! Hoshino Resort KAI Alps is a Japanese inn located in Nagano’s Omachi Onsenkyo district. Here you can gaze at beautiful mountain scenery, enjoy hot springs and regional cuisine, as well as snow. Our writer introduces what the inn was like during her stay! 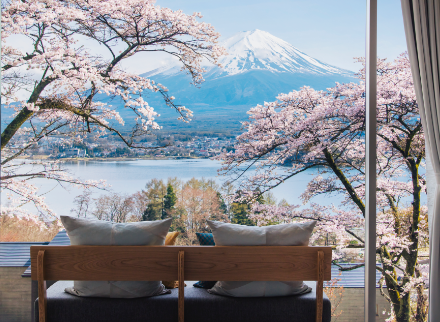 With its spacious rooms, amazing open-air hot spring bath and high-class food, Hoshino Resorts KAI Hakone is the perfect place to enjoy the best of Japanese hospitality and the local charms of Hakone. 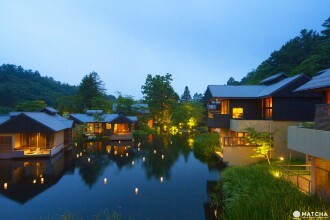 RYOKAN CAMP - Get A 30% Discount On Staying At A Luxury Japanese Inn! If you'd like to experience a Japanese ryokan and make some special memories, in February and March of 2018, there's a tour available at a discount price to help make your wishes come true! In this article we give you all the details. 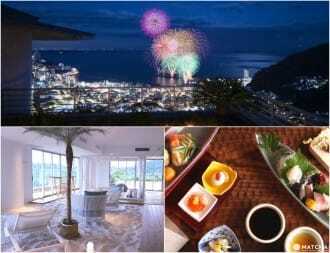 Hoshino Resorts RISONARE Atami - Enjoy The Sea, Mountains And Hot Springs! 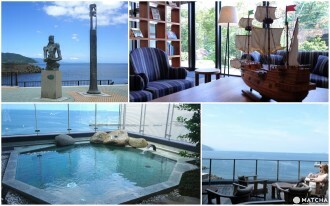 Hoshino Resorts RISONARE Atami is a seaside resort in Atami, just one hour south of Tokyo. With many activities allowing guests to enjoy nature, Japanese hot springs, and fireworks, you will have a memorable time with your family, friends, or as a couple. Japanese wine has recently become a trend, so MATCHA made a visit to Hoshino Resorts RISONARE Yatsugatake, a wine resort in Yamanashi Prefecture. Hoshino Resorts OMO5 Tokyo Otsuka - A Tokyo Stay Full Of Discoveries! Hoshino Resorts OMO5 Tokyo Otsuka has great access to Tokyo's major sightseeing spots and offers its guests a comfortable stay in the heart of the city. This hotel will add excitement to your trip through local tours and original cuisine! Some of the most beautiful places to visit in Hokkaido such as the Blue Pond and Furano's lavender fields are close to Asahikawa. Stay at Hoshino Resorts OMO7 Asahikawa and explore this amazing area! Explore northern Japan's nature in comfort at Hoshino Resorts Oirase Keiryu Hotel. Ride the Shinkansen and the free hotel shuttle to take in the dynamic seasons close to a national park with guided nature activities, hot springs, and regional food. Hoshino Resorts Aomoriya - Vibrant Festivals And Amazing Hot Springs! 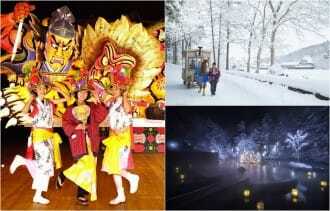 Enjoy Japan's exciting festival culture year-round at Hoshino Resorts Aomoriya in Aomori, northern Japan. Get ready to be entertained by the famous Nebuta Festival and local culture. The performances, hot springs, and winter snow are not to be missed! 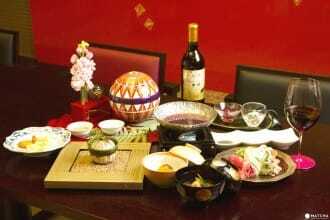 If you would like to enjoy Japan's fine food while visiting Kyoto, stay at L’Hotel de Hiei. In addition to the very best of the local cuisine, guests can also enjoy the culture nurtured by Mount Hiei and Lake Biwa.